Further more, time deposits made with NBFC, Nidhis, Co-Op Soc and Banks and even post offices will require quoting of PAN. Cash payments at Hotel and Restaurants exceeding Rs. 50,000 will require quoting of PAN. Earlier this limit was at Rs. 25,000 only. This has been raised considering the inflation and overall rise in costs. Moreover, the need to open regular Savings Bank Accounts will no longer require showing PAN as was the requirement before. This means for opening a regular savings bank account you will not need to submit PAN card a address proof or quote your PAN. Banks are asked to comply with this requirement. Even co-operative and public sectors banks will comply to this new change. Here is a simple and straight forward list which our readers can download and even keep it in their mobile phones as a quick guide to refer whenever they have any query with regards to the change in new rules. Also Read: How to get your Voter ID card Bihar before the Elections? Have a look at this image below. To Download the image, simply right click on it and click the save image. 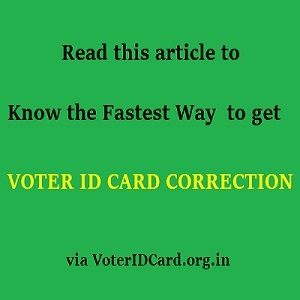 Voter ID Card Correction – What is the fastest way to get Voter ID correction?